The Dalit basti on the Jalasen Ghat used to be home to a mix of people from a large range of professions that met the everyday needs of the inhabitants of Pukka Mahal. A photograph of his locality is not something Rachit Kanojia wants to click. 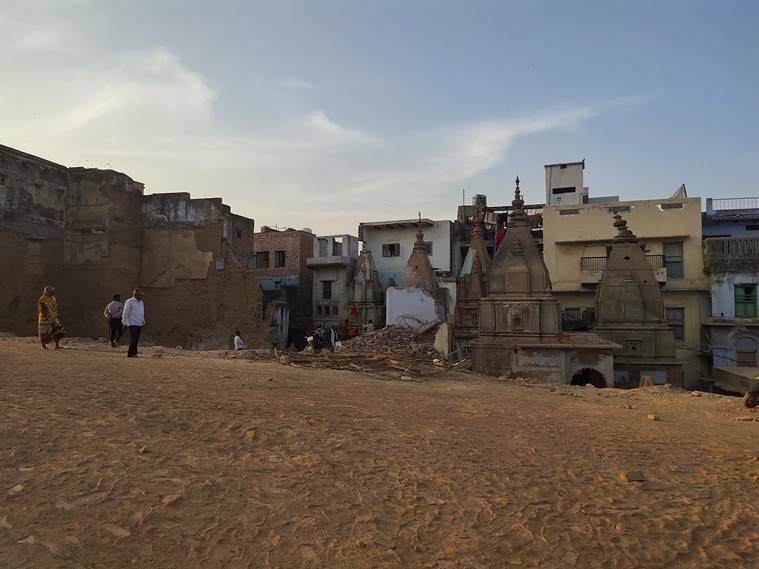 The Dalit basti between Manikarnika Ghat and Lalita Ghat, where this photographer’s family lived for over six generations and which he called home not very long ago, is now non-existent. All that remains are heaps of rubble all around. 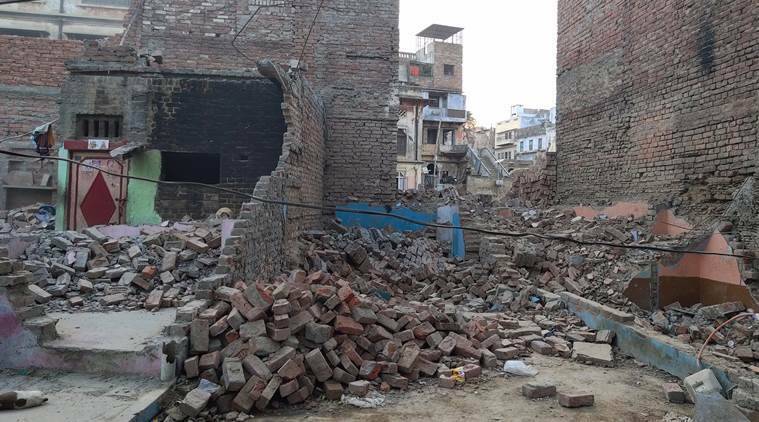 Last year, on September 12, Kanojia was summoned by the authorities of the Kashi Vishwanath Temple Trust and asked to give up his house to make way for the Kashi Vishwanath Corridor Project that was announced earlier in March. The project is meant to provide direct access to pilgrims between the Kashi Vishwanath temple and the ghats on the Ganga. 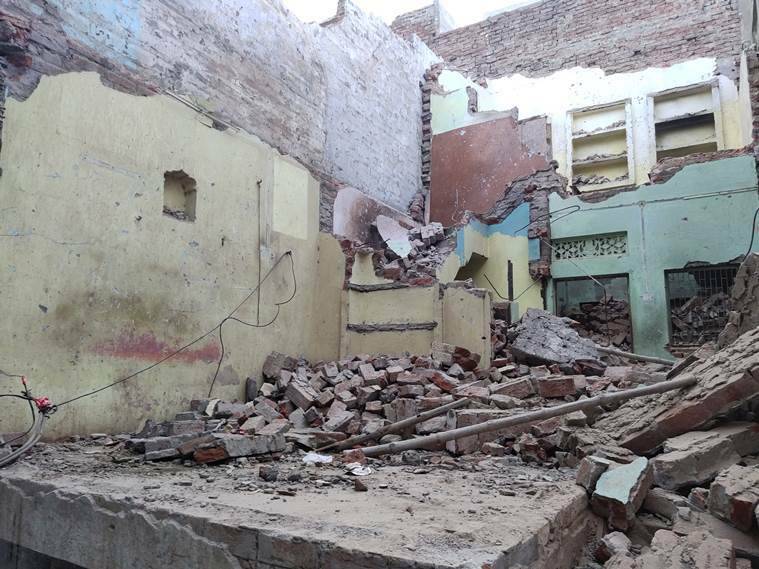 Kanojia’s home is among the 230 houses that have been demolished so far. “We were told that we would get compensation and a voice as well. We never acquired a voice and are unhappy with the compensation. We have been dislocated from city and moved to village,” says Kanojia, who now stays in Katesar around 10 kilometres away. “The basic idea was to decongest the whole path from the river to the temple, to create space for devotees so as to make it convenient for them and take care of their safety,” says Vishal Singh, CEO, of the temple trust. Singh says the owners are being given a compensation twice the value of the house, while tenants are being provided with a maximum compensation of Rs 10 lakh. The Dalit basti on the Jalasen Ghat used to be home to a mix of people from a wide range of professions that met the everyday needs of the inhabitants of Pukka Mahal – an informal name of the urban space that developed around the Western banks of the Ganges in the medieval times. “Most of them are people who earn a living by working on the banks of the Ganga, like the mallahs (boatmen) or the dom (caretakers of the cremation grounds),” says Dr Ramagya Shashidhar, a Professor of Hindi in Benaras Hindu University (BHU). The Dalit colony, however, is invisible to many in Varanasi. “Dalits never lived around the Kashi Vishwanath temple at all so their homes cannot be uprooted. Even today, in villages around Varanasi, Dalits and upper castes live separately,” says retired professional R P Singh. BJP worker Rajneesh Singh says there is nobody who has faced hardships because of the corridor. “I can challenge that you will not find a single person who is in any kind of pain because his house has been demolished,” he says. Those evicted, however, have a different story to relate. “Initially we were promised adequate compensation and resettlement in an area of our choice. While we have been given compensation, nothing is being said about resettling us,” claims Kanojia. “Originally we heard that we would be given four to five times the value of our house, but they have not even paid us twice the amount,” says Usha Devi. “Most people who received compensation in the area around the Vishwanath temple are big seths (businessmen), royals who had old houses there, or people of higher castes have a hegemony here because of religion,” says Dr Shashidhar, adding Dalits do not have much of a standing in Varanasi. “Moreover, their houses are also not as big as those of the rich and powerful. So naturally, their compensating was less,” he explains. “We are paying the compensation as per the new land acquisition rates. In this case, the rates have been approved by the government and it is twice the market value,” says Agrawal. “The person selling the property comes to office and signs to sell it to the government,” he adds. “The most important thing is that the Dalit community there did not want to leave their homes as they would be the ones to suffer the most. They had been earning a living with self-respect here. Now that they have been uprooted and relocated in different villages, they will find it extremely difficult to re-establish their lives,” says Dr Shashidhar. Vinod Kanojia, a washerman, has been out of work ever since his house was demolished. “Now I have no means of livelihood. If the government cannot provide jobs, then it should not take away our jobs either,” he says. “Even today our society is ridden with caste discrimination. We don’t know how we would be treated outside this area. About the Dalit colony, he claims, that those having in situ employment like working in the ghats have been compensated “extraordinarily well”. “We are trying to help them out in finding a place close by so that they can continue working on the ghats,” he says.